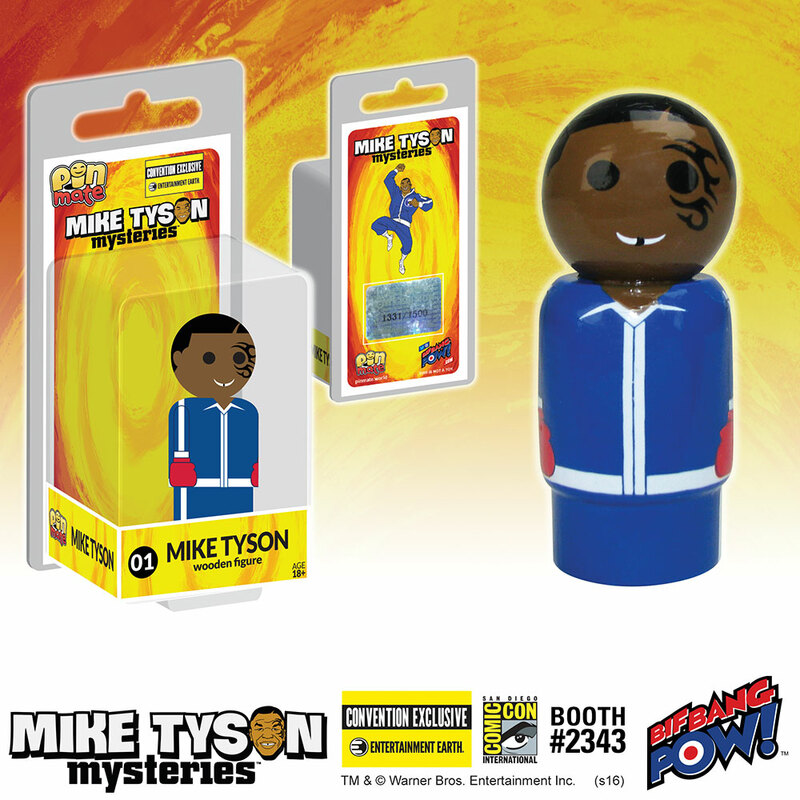 @BifBangPow: New Limited Mike Tyson Pin Mate from Mike Tyson Mysteries! 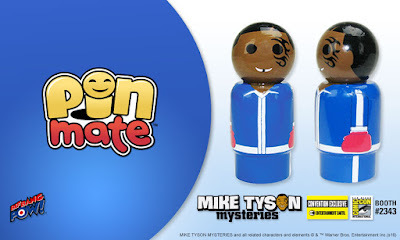 New Limited Mike Tyson Pin Mate from Mike Tyson Mysteries! Bif Bang Pow! 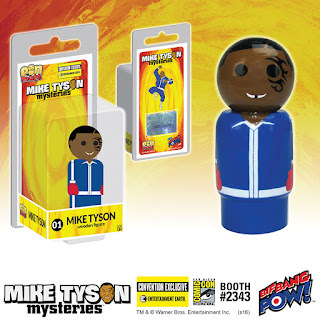 proves some of the best things do come in small packages with their Mike Tyson Mysteries Mike Tyson Pin Mate Wooden Figure - Convention Exclusive - only at Entertainment Earth! 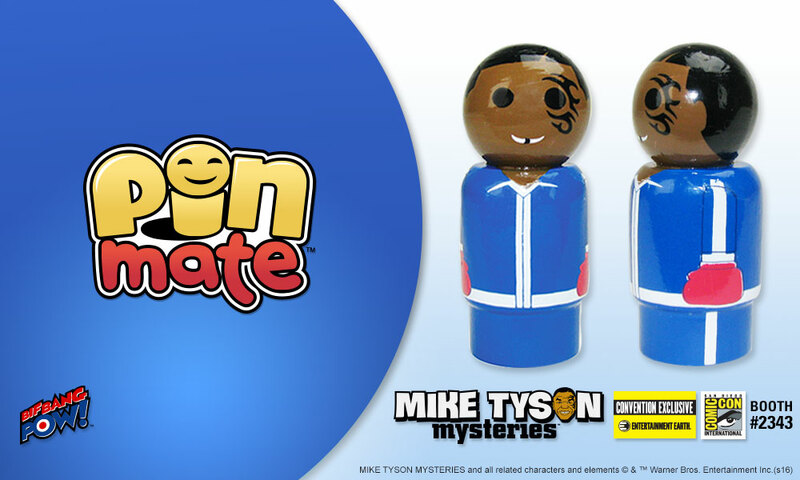 This coveted Mike Tyson Pin Mate wooden figure is based on the animated Adult Swim series MIKE TYSON MYSTERIES™. A collector must-have, this uniquely numbered wooden figure is featured as the first its series - with the number "1" labeled on the bottom of the figure as well as on the packaging. Designed in a retro-style and measuring a mere 2-inches tall, each figure is wrapped in 360-degree, hand-painted artwork that includes some decal elements. Limited to only 1008 pieces, the personalized production of the hand-painted artwork gives each figure a one-of-a-kind authenticity that cannot be duplicated, which makes this already highly collectible piece even more collectible! Ages 18 and up. See all Bif Bang Pow! Mike Tyson Mysteries collectibles - only at Entertainment Earth.